As this isn’t an official region there’s no defined border, but what we think of as the Côte d’Azur generally starts from Toulon or Hyères in the West and takes in the coast right across to France’s border with Italy. The Côte includes the principality of Monaco plus sections of the Var and the Alpes-Maritimes, so the area boasts the unusual and highly attractive combination of beaches, palm trees and ski resorts. 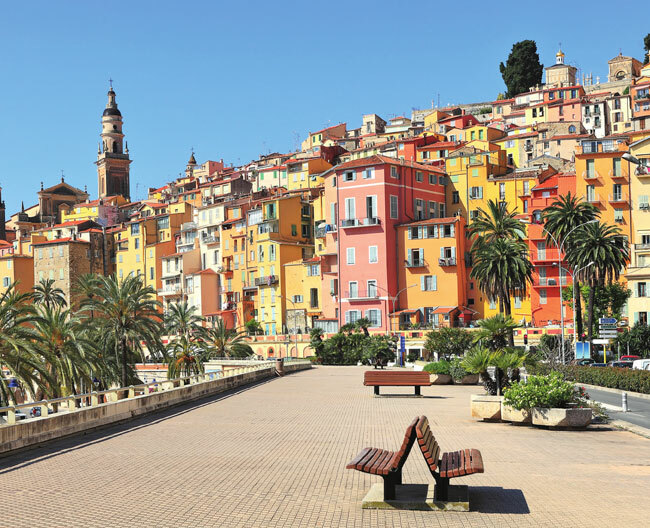 Needless to say, the huge range of natural attractions are part of the Côte d’Azur’s undeniable appeal, and if you’re looking for a change, the fact that it’s such a contrast to Britain makes it irresistible to buyers on this side of the Channel. The Côte d’Azur has served as a health and leisure resort for the British since the late 1700s, and in the 1800s the area continued to attract those who were affluent enough to travel and stay for the ‘season’, whether that meant during the summer or to enjoy the considerably milder winters. Visitors often included celebrities, royal families and aristocrats, conferring a certain prestige on the French Riviera that it’s never entirely lost. The Côte boasts dramatic coast roads overlooking azure seas, terracotta-topped houses bunched together in hillside villages, modern cities of high-rise apartments with neon lights, marinas thronged by impossibly expensive ‘super yachts’ and, unsurprisingly, countless hugely expensive open-topped cars, because the average 300 days of sunshine a year mean that you can make the most of your cabriolet! Everyday work goes on behind the scenes, of course, but you have the feeling that the French Riviera is where people of leisure go to be seen and, let’s face it, admired by their contemporaries and the general public alike. Yet there’s more to the Côte d’Azur than just glamour and bling. The peninsula and sheltered bay immediately to the east of Nice is widely considered to be one of France’s most breathtaking spots. This site of natural splendour is also home to two of the most famous Riviera spots. 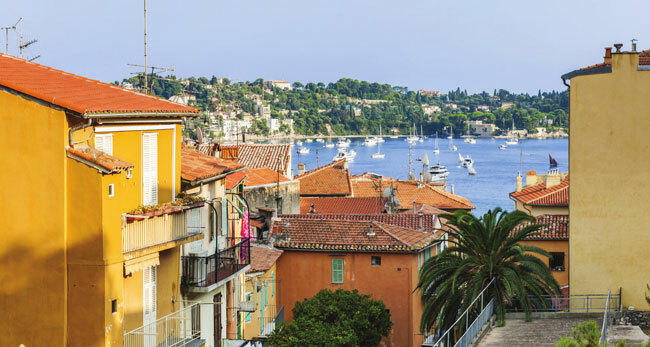 Villefranche-sur-Mer is a fishing village that’s still populated by many of its original families, leading to a combination of authentic roots with the area’s cosmopolitan scene. 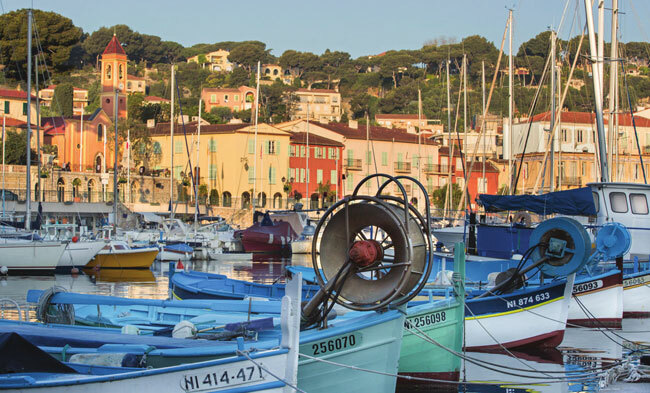 Across the bay sits the chic and upmarket Saint-Jean-Cap-Ferrat, which has its fair share of luxury villas, but you can access its considerable charm via the coastal paths and pavement cafés. Alternatively, you can head inland to explore the Côte’s plethora of lakes, National Parks, lush forests and breathtaking gorges, all of which enjoy the same fantastic climate as the busier seaside resorts, or come during the winter months, to make the most of the skiing opportunities. Many people would immediately respond: ‘hot’, ‘expensive’ or ‘flash’. It’s true that the Côte does attract the wealthy, and as many opulent second homes lie empty you’ll frequently see security cameras and alarms, particularly in Saint-Tropez, Marseille, Nice and Cannes. However, to put this in perspective: these are big cities with all the attendant issues. As with any area in which you’re going to invest, if you’re uncertain about any aspect, do your research before you buy. And remember, there’s a lot more to the Riviera than these major cities. It offers quaint villages (eg Tourrettessur-Loup) – inland or in the mountains – and towns (Vence, for example) that don’t immediately come up on the radar of millionaires who simply want to ‘be seen’. Spend time on the Côte, get to know the local property agents and let yourself head off the beaten track. This is a stunning part of the country that’s well worth exploring. As it stretches along the Mediterranean coast, the Côte d’Azur enjoys relatively mild winters, and hot, bright summers which, understandably, is a dream combination for many property-hunters. The Mediterranean climate means colourful, fresh dishes, featuring vegetables, olives, anchovies and seafood. 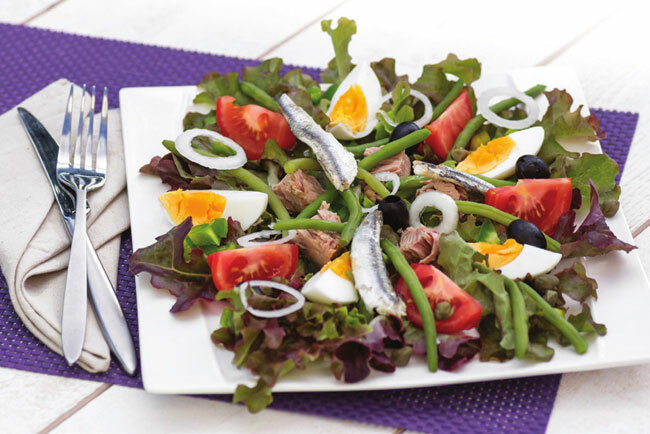 Nice gave us the Salade Niçoise, with its tuna, eggs, regional olives and tomatoes, and also ratatouille. La Tropézienne, the sweet brioche sandwiched with patisserie custard, was named after Saint-Tropez and is a favourite of Brigitte Bardot. Pastis is a daily tipple on the Côte but there are great local wines too, particularly rosé – try them yourself! In the mid-1800s, the Côte d’Azur was a rather underdeveloped part of France, but in 1882 Queen Victoria came to take a holiday there and loved it so much that she returned year after year. It was said that, in the South of France, the Queen could cast aside her very Victorian inhibitions, and she took a particular fancy to the Cimiez neighbourhood of Nice. Her royal seal of approval boosted the number of annual visitors to Nice from just 12,000 to around 100,000 within just a few years. However, during the winter months, a cold snap with snow isn’t unheard of and you’ll occasionally get frost inland. The temperatures during summer are glorious but it can get very hot, particularly in the cities, with highs around 35°C – that said, the sea breezes make things bearable along the coast. Most visitors arrive via Nice’s airport, which receives flights from all over Europe. It is, in fact, France’s busiest airport outside Paris Charles de Gaulle so you should easily be able to find connections, including low-cost airlines. 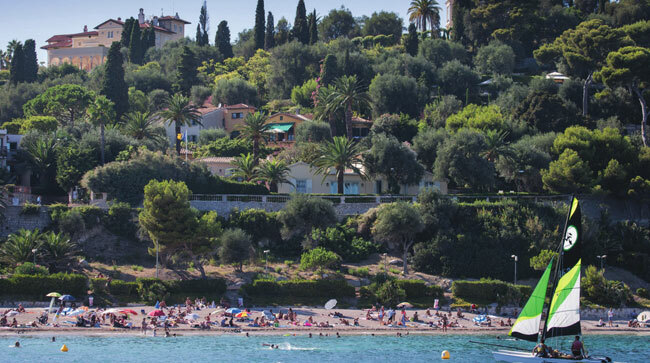 Towards the eastern side of the Riviera, the airports at Marseille and Toulon-Hyères are great alternatives, as is Avignon, which also connects to several UK destinations. The high-speed TGV train takes around 5½ hours between Paris and Nice, and regional TER trains run along the coast. In July, August and September a ‘Carte Isabelle’ pass offers unlimited local train journeys all day for €14. The area’s public transport network includes buses – and trams in Nice – and various passes are on offer. By car, allow 11 hours Calais-Nice (9½ to Montpellier), or 8 hours Paris-Nice (7 hours to Montpellier). 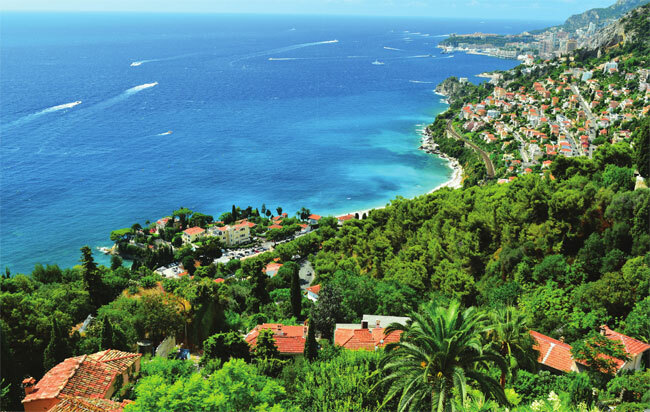 The Côte d’Azur is a sought-after area for buyers dreaming of the Mediterranean lifestyle. Consequently, it’s understandably one of the country’s most expensive regions and there’s plenty of competition so you need to be ready to move quickly to secure your dream home. The most expensive areas are on the coast, and you’ll rarely find a bargain there. You’re also unlikely to find a renovation project in the Côte d’Azur, as such properties have been bought, done up and sold on already. Similarly, plots of land are also rare and will be priced at a premium. This is a very developed area rife with property companies and developers, who are in a position to act quickly and pay the premium for desirable opportunities, especially for plots of land with sea views. Along this part of the Mediterranean coast you’ll find the famous resorts of Nice, Antibes and Menton as well as the exclusive, elegant resorts of Saint-Tropez and Cannes where, frankly, your budget needs to be over €1,000,000. Further inland, you’ll find charming traditional villages like Vence, Valbonne and Tourrettes-sur-Loup, which are less crowded and rather more affordable than the glamorous coastal resorts. To put the issue of property prices in proximity to the Med and the really glam spots into context, a two-bed apartment for €250-€300,000 in Vence would sell for €400,000 in Valbonne, although the former is actually closer to Nice airport, while Tourrettes-sur-Loup offers better value for money all round, yet is roughly the same distance from the coast. Meanwhile, the price of village houses inland can be unpredictable, from €175-€350,000. Overall, it pays to do your homework and explore fully! What are the main types of property on the Côte d’Azur? As with most areas in France, the geography determines the type of property you’ll find. In the mountains above the Côte you’ll be spoilt for choice when it comes to chalets and ski-apartments, while on the coast there are sea view studios and million-Pound villas, and the area’s rural villages offer a more typical range of properties and prices. Depending on their condition and location, studio apartments can start from just €100,000, while apartments in the centre of Nice run between €200,000 and €350,000, and in the luxurious parts of Mont Boron you’d pay over €600,000. 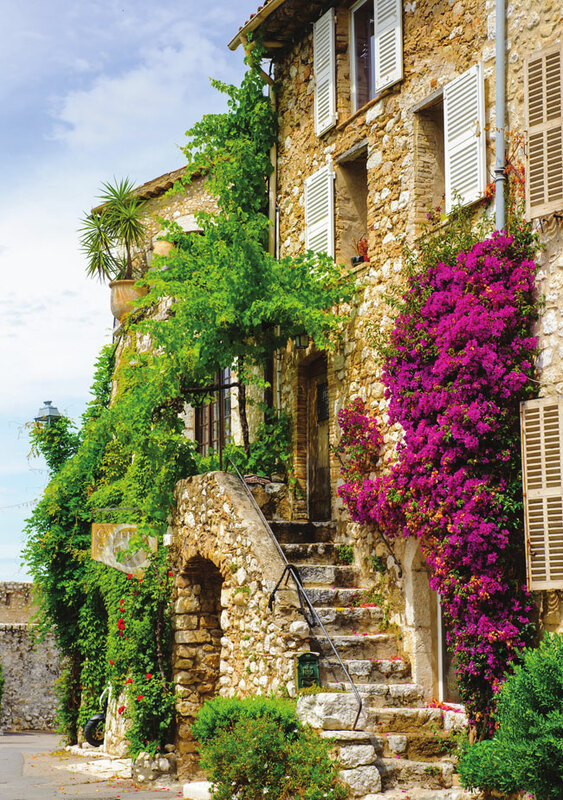 There are all styles on offer, from modern complexes to converted historic residences, with resort towns such as Antibes offering both the ‘old town’ and more recently-developed areas. Remember to check the property management (co-propriété) fees and do include their payment in your budget. Think Mediterranean, think villa. These tend to be recently built but with a traditional character and feel. A basic villa is commonly one-storey with a pool – the latter is essential if you’re intending to rent it out – while more luxurious examples can boast well-presented gardens and sea views. 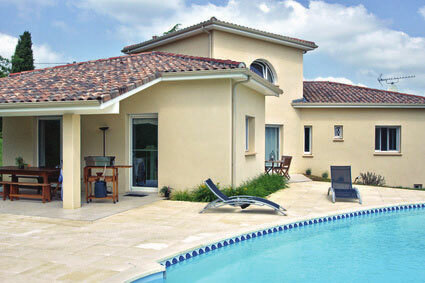 Architect-designed villas are also popular, and feature a more contemporary feel, with modern fittings and kitchens. Villas inland start from €500,000 but they can reach several million, especially if they’re closer to the coast. If you’re looking for characterful stone properties then the mas and Provençal bastide properties are for you. 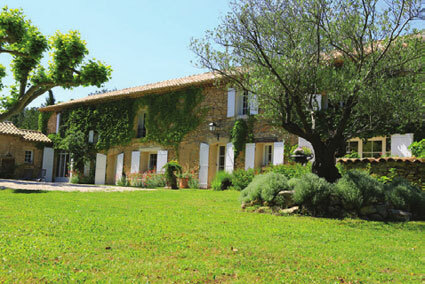 Formerly homes of wealthy families, the bastide style is classically symmetrical and includes outbuildings, while the mas style is the area’s equivalent of a rural farmhouse and typically comes with land. Both styles are predominantly found in Provence and are getting rarer, so when they do come up they have a high price-tag! Expect starting prices of around €800,000 and they run into the millions, particularly in the expensive areas around Grasse and Vence. Purpose: Naturally, your first decision should be how you intend to use your property. If you’re looking for a buy-to-let holiday home, it should be easy to maintain and in a popular destination. If you’re buying your own holiday property, be realistic about travel arrangements so that you can make the most of your investment. For a permanent move, draw up your criteria about year-round accessibility and amenities and consider whether you’d prefer to go further inland, to get more space for your money. Location: Although we associate the Côte with opulent villas and millionaire mansions, not everywhere has astronomical prices. Move your search area away from the obvious tourist-traps and you’ll be amazed at the contrast. Take Cannes as an example: the glitz of La Croisette with its luxury boutiques and trendy clubs and bistros gradually gives way to holiday homes and residential areas, and as you continue inland towards Grasse, the world-famous capital of perfume, your property budget will begin to stretch even further. Year-round: If you’re thinking of using this property throughout the year, do try to visit the area at different times. It’s especially important to be realistic about how busy the Côte can get during July and August. It can be a shock if you visited and bought a property during the relative calm of April, but the influx of tourists is great news if you’re renting out your holiday home, as there’s always demand in the top spots. The wonderful climate means that there’s an excellent rental market in this area, one which extends well beyond the summer holidays. International events also draw tourists, such as the Monaco Grand Prix, the Cannes Film Festival and the year-round programme of entertainment mounted in the cosmopolitan city of Nice. The best options for renting are well-maintained properties within easy access to the coast. Nice, with its vast airport and excellent tram system is a sound option. Centrally-located apartments start at around €300,000 or perhaps slightly less for studios and those needing work. There are also great buy-to-let opportunities in apartment complexes and holiday villages or domaines. In Théoule-sur-Mer, to the West of Nice, a seaview studio apartment in a shared complex with communal pool near the beach can start from as little as €150,000-€200,000. It’s always an advantage to be near the coast, as you’re guaranteed rental income, but during peak periods guests may expect a pool because they’ll welcome the option of staying by it when the beaches are crowded. In addition, remember that the volume of summer road traffic will also greatly affect just how ‘close’ to the coast you really are. 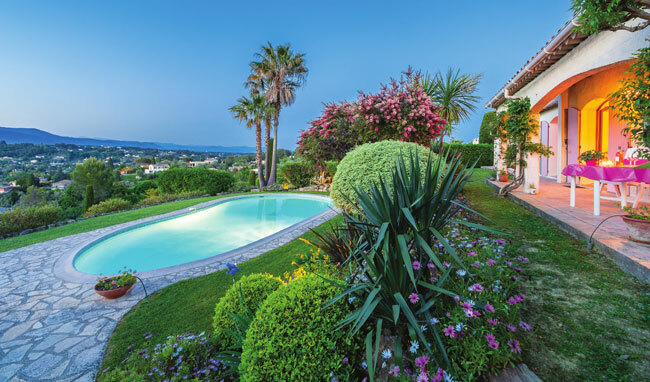 There are some areas in France where buyers are uncertain if their investment will hold its value, but although the Côte d’Azur is far from being a cheap area, it has historically proven to be one that holds its value. In addition to the obvious appeal of the weather, the glamour and the scenery, it has a great track record in property prices. This means that if you can get together the budget to buy there, your investment should prove to be sound: the French Riviera has been a desirable destination since the late 1700s and demand shows no sign of slowing down! 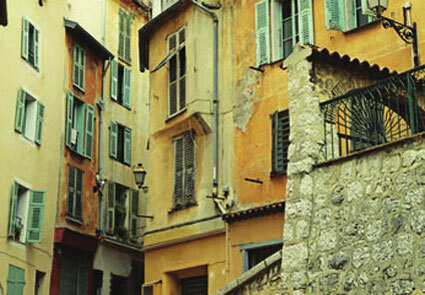 Do you feel that the Côte d’Azur is the area in which you’d love buy your French dream home? If so, you can browse our properties for sale in the area and we also have access to many more. If you’d like the details of those properties or want help with your search, drop the FrenchEntrée Property Team an email via propertysales@frenchentree.com or call them on +44 (0)1225 463752.